The 31st edition of the world’s most prestigious yachting book The Superyachts will be officially launched at this week’s Monaco Yacht Show. 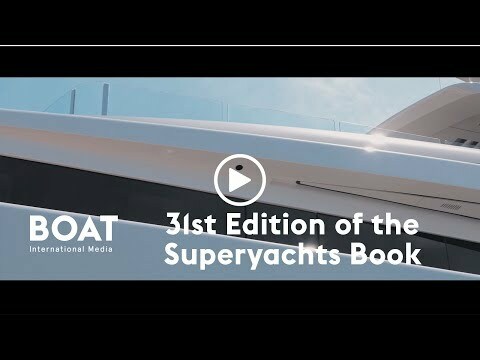 As the video above shows, this year’s edition features both sailing and motor yachts measuring from 32 metres to 107 metres, including five Boat International Design Award winners and eight World Superyacht Award winners. The Superyachts goes into great detail on the stories of these yachts, how they came to be and all the key players who shaped their design and construction. Inclusion in The Superyachts is one of the highest honours a yacht can achieve, and over the years this prestigious book has showcased the likes of Trump Princess, Motor Yacht A, Skat, Eclipse and Serene. All 21 yachts included in Vol. 31 are exceptional in their own way and truly worthy to be counted among such exulted company. The Superyachts Vol. 31 is available to order now via the Boat International Media estore, priced at £120.